CATCH Carlsbad is a new restaurant in Carlsbad Village in the heart of town on the main east-west drag, Carlsbad Village Drive. There is parking next door as well as valet. 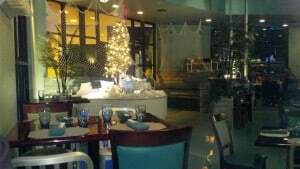 CATCH Carlsbad offers a good range of sushi, as well as other seafood dishes, for dinner with the option to sit at the sushi bar, in the lounge are or a slightly more formal dining area. Ask for ANGELA, by the way – she is terrific!! CATCH also has a great selection of Sakes. I can’t say I have gotten into drinking sake but I may have to try given all the options. CATCH is in the former Blockbuster that was extensively remodeled, with lightning from very cool chandeliers, with lots of windows. Tables are well spaced so you don’t feel cramped and have a sense of privacy. My only gripe? The radio music, sort of a light rock. It might have just been that night, but I can listen to the radio, with commercials, in my car…I don’t need it while dining. You could sort of ignore it but I can’t say that it added to the fairly upscale atmosphere. That said, the sushi we had was terrific, as well as a wonderful butterfish appetizer. 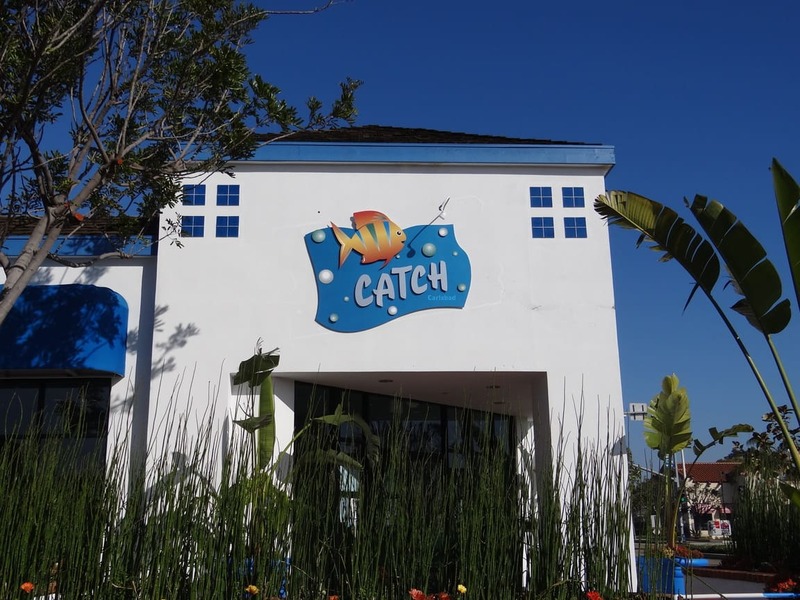 We’ll look forward to exploring more that CATCH Carlsbad has to offer. Check it out – it worth a visit. Just don’t expect bargain basement prices!